Miley Cyrus knows a thing or two about beauty evolutions. As a former Disney Channel darling, Cyrus first entered the pop culture landscape on the network’s comedy series Hannah Montana, which propelled both her music and film career. With several wide-ranging albums and roles in television and films such as Hannah Montana: The Movie (a cult classic, if you ask us) and The Last Song (where she met now-husband Liam Hemsworth), the pop princess is, to say the least, well-versed in personal transformation. And the songstress recently returned to her roots. 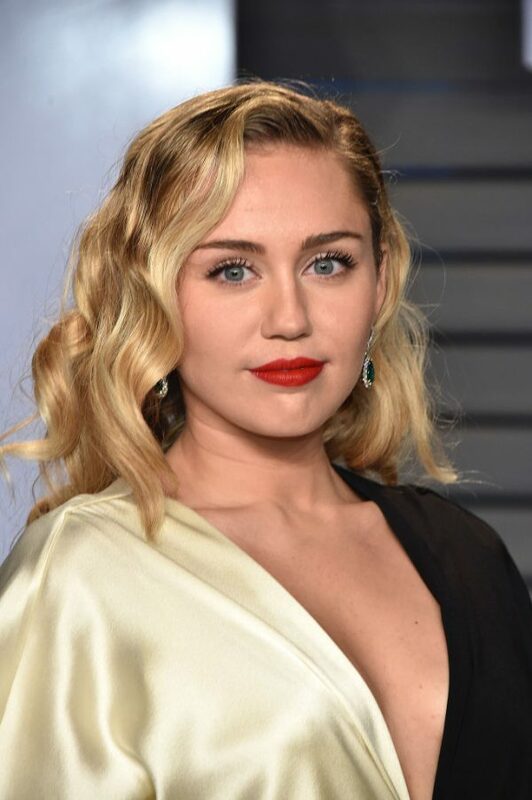 The “Malibu” singer, who has experimented with pixie cuts and lobs, unveiled long blonde Hannah Montana hair on her Instagram Story late on March 28th. She captioned two photos, “Icons ONLY!” and “I WIN! 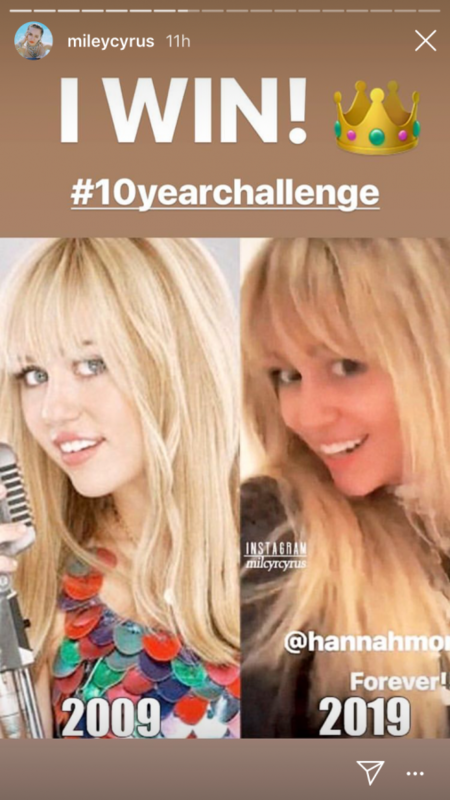 #10yearchallenge” with @hannahmontana tagged. In honor of the singer’s nostalgic return to her Hannah Montana style, we’re looking back at Cyrus’s hair evolution, from her days as Disney darling to a full-fledged pop star. In 2006, the year her Disney series Hannah Montana premiered on the network, Miley arrived at the Vh1 Big in ’06 Awards baby-faced with long, brunette wavy locks. In the same year, the “Best of Both Worlds” songstress arrived at the premiere of Hannah Montana & Miley Cyrus: Best Of Both Worlds Concert in a black hue, a departure from her light brown locks. In 2008, again a year of great hair change, the singer arrived at the City of Hope benefit concert donning brand new bangs with her signature long brunette locks. In 2012, Miley attended the Los Angeles premiere of The Hunger Games alongside fiancé Liam Hemsworth with her shortest ‘do yet: a head-turning, ombré shoulder-length chop. In the same year, the “Wrecking Ball” songstress appeared on the Tonight Show with Jay Leno rocking her most drastic hair change yet: a blonde pixie cut with side swept bangs. In 2015, the Bangerz songstress arrived at the 57th annual Grammy Awards with a neatly slicked back blonde pixie cut, sans her usual bangs. In that same year, Miley arrived at the Met Gala, themed “China: Through The Looking Glass,” wearing a bob cut in a stunning blue-ish grey hue. 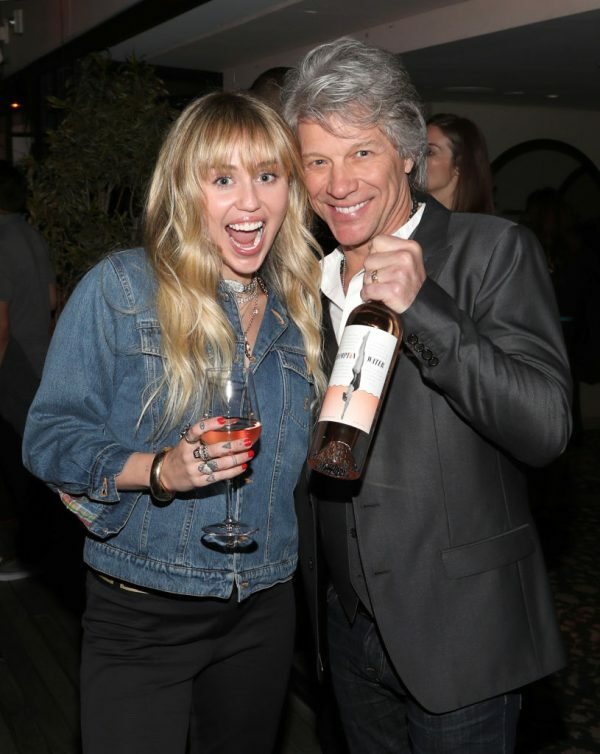 In 2016, the “Party in the USA” singer grew out her locks once more, this time opting for a blonde shade with darker roots. In 2018, Miley attended the 2018 Vanity Fair Oscar Party with long-time fiancé Liam Hemsworth wearing her signature loose waves in a deeper golden hue. In 2019, Miley attended The Women’s Cancer Research Fund’s An Unforgettable Evening Benefit Gala donning straight locks in a darker ombré hue. In the same year—specifically on March 28th—Miley brought her hair evolution back full circle with long blonde Hannah Montana locks, complete with her signature bangs.